Research on upcoming commissions by Ampere Analysis reveals that Netflix and Amazon are ramping up co-productions with local broadcasters in a bid to provide viewers with high-quality content at lower cost. The BBC and Sky are just two of the high profile public broadcasters and pay-TV operators who have been unable to resist the lure of working with the FAANG (Facebook, Apple, Amazon, Netflix and Google) group. Ampere Analysis predicts that many more will follow. With non-US based subscribers representing the fastest growing parts of their customer bases, Netflix and Amazon are realising that locally relevant (or localised) original content is becoming increasingly important. Collaborating with local players enables the streaming giants to produce internationally relevant Originals that complement their existing slates, whilst also reducing funding costs. 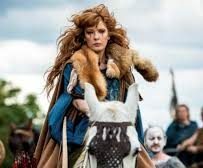 Netflix’s Spanish language series El Chapo (in association with Univision), Japanese drama Atelier (in association with Fuji Television) and Amazon’s British historical fantasy Britannia (in association with Sky) are examples of this growing trend. Although Amazon lags behind Netflix, its proportion of co-produced Originals is set to rocket in the future, with quadruple the number recorded in 2017. Over 12 per cent of Netflix’s 2018 releases and upcoming Original shows are co-productions (by Ampere’s estimates), compared to just under 8 per cent of Amazon’s. Ampere’s data reveals that there is a link between the proportion of co-produced originals and localised originals. 35 per cent of upcoming Netflix and Amazon Originals are localised to a non-US market, compared to 15 per cent of upcoming releases globally. Among these localised titles, co-production deals are rife – 29 per cent of all upcoming localised Originals are co-productions, by Ampere’s estimates. Ampere data also shows a focus on European co-productions. 56 per cent of upcoming Netflix and Amazon Originals originating from four key European markets (Denmark, Netherlands, UK, and Spain) are co-productions. These include British series King Lear, in partnership with BBC One and Netflix’s Spanish language series, and Brigada Costa de Sol, in association with Mediaset Espana and Warner Bros.